Michele Lamont is often cited as the person who gave new impetus to the sociology of culture in the past decade (e.g. in Money, Morals, and Manners: The Culture of the French and the American Upper-Middle Class; link, link). (Lamont is one of the editors of the Princeton series in which this book appears). Lamont has given new energy to the study of how cultural values structure ordinary life in a variety of settings, and also has provided some powerful examples of how to approach this problem empirically. And Abend brings such great detail of focus to his investigation that his study sets a new standard for what is required in a study of public culture. One of the intellectual antecedents of Abend’s approach is the micro-sociology of Erving Goffman. Like Goffman, Abend is interested in tracing the public manifestations of a cultural epoch — not the subjective experience that may underly it. What Abend wants to understand is the actual history of the field of business ethics. He isn’t trying to discover the patterns of behavior that are found among businessmen, or the ethical ideas they embrace. Rather, he wants to tease out the material and ideological content expressed by professional “business ethicists”, largely found in schools of business. 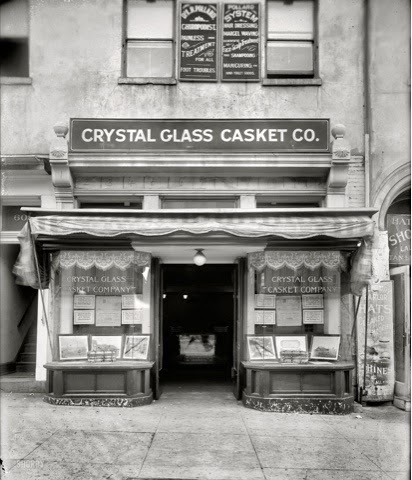 What has been the public expert discourse on business ethics over the past century, and what framing assumptions about the ethical field does this discourse presuppose? His interest throughout the book is with the third level, the moral background. This refers, essentially, to the frameworks, concepts, and principles of reasoning that people have in mind when they think ethically or normatively. He compares the moral background with the meta-scientific beliefs that scientists bring to the study of nature or society. This focus is particularly interesting to me because it provides additional leverage on the problem of offering a vocabulary for the background conceptual resources that are a necessary part of all social cognition. As has been noted several times in earlier posts, there is an important body of conceptual and factual presuppositions that human beings unavoidably use when they try to make sense of the world around them. And the framework itself is only rarely available for inspection. So it is a valuable contribution when sociologists like Abend, Gross, or Lamont are able to pinpoint the content and structure of such systems of tacit cognitive framework in action. Abend demonstrates that the field of business ethics is substantially older than it is usually thought to be, extending back at least a century. 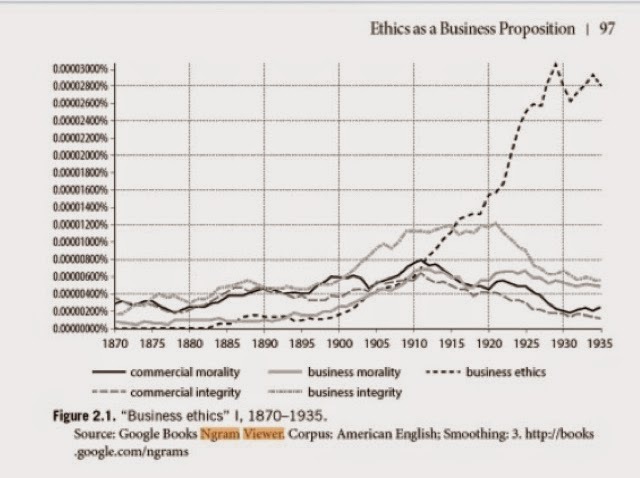 To demonstrate this point he makes interesting use of Google’s Ngram tool (link), a research tool based on Google’s massive collection of scanned books, and finds that the phrase “business ethics” begins to take off around 1900, passing “commercial morality” in 1912 and “business morality” in 1917. 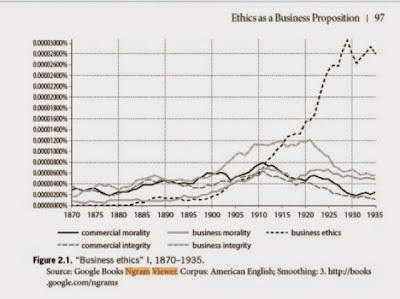 All the other phrases go into a sustained decline in books from 1920 forward, while “business ethics” takes off. The Moral Background is a major contribution to the emerging field of cultural sociology. Especially important among the virtues of Abend’s research is his ability to work through a huge body of historical material from the subject — the founding of various business schools, speeches by public officials about business scandals, the utterances of pro-business organizations like chambers of commerce, newspaper cartoons about business scandals, philosophical writings about ethical theory — and to find meaning in these disparate sources that point back to the “moral backgrounds” from which they emanate. This is a truly gigantic task of intellectual integration, and Abend’s book sets a high bar for future studies of the cultural meaning of intellectual, practical, and normative social realities.